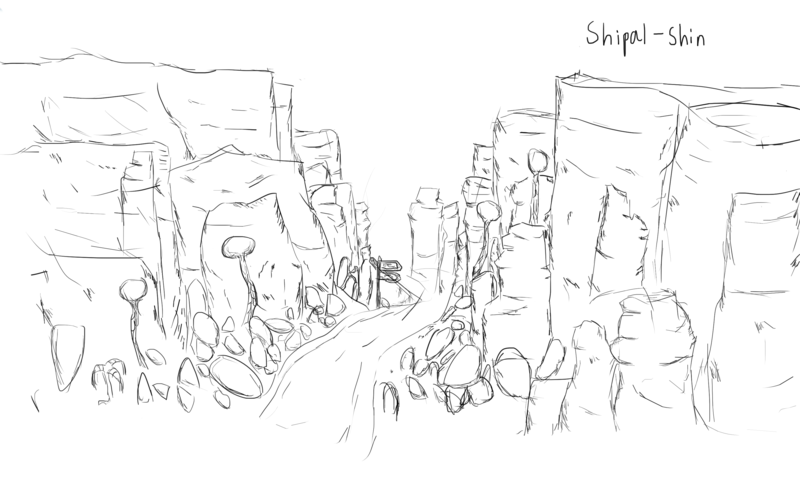 For general Shipal Shin concept art. I drew a landscape and a plant to start it off. Alternatively, those blue, straw-like things could be reinterpreted as filaments that filter and absorb the extra moisture contained in the night air and the morning dew. 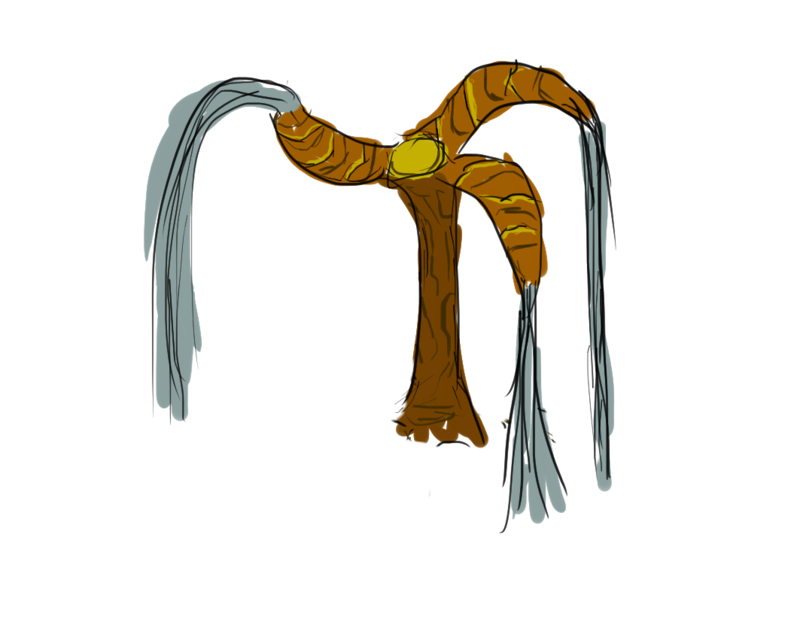 I picture them looking like the hairy veil from those proposed, glowy cave mushrooms (or like jelly-fish filaments). Nice work on that landscape, too!